Wellness is more than just an obsession today. It s a moral demand. If you fail to be happy, and if you re not looking after your health then you re a failure. A moral failure. Welcome to the new age of biomorality , where feeling good has become indistinguishable from being good. In their energetic and eye-opening diagnosis, Cederström and Spicer show how this wellness obligation has started to work against us, making us feel guilty and anxious. Along the way, we meet health freaks who go to extreme lengths to find the perfect diet, corporate athletes who start the day with a dance party, the self-trackers who monitor everything including their own toilet habits, and the unemployed and overweight who are demonised for their lack of self-control. While perfecting our bodies, we easily forget those who suffer an acute shortage of treadmill desks, personal yoga instructors, and wearable technologies. Dreams of social change are replaced with dreams of individual transformation. Political thinking is swapped for moralisation. And scientific evidence is exchanged for new-age delusions. 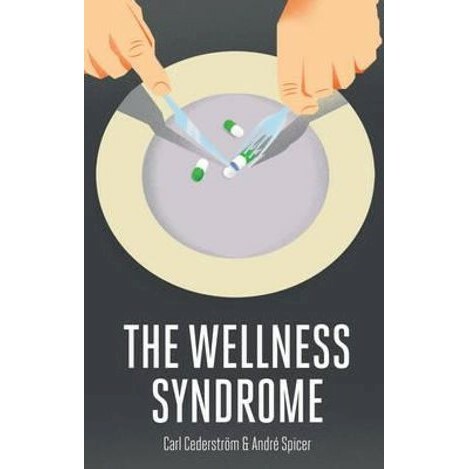 The Wellness Syndrome confronts the pervasive tyranny of biomorality, offering an illuminating and forceful critique of this recent phenomenon.